Looking for a Job or a Career in Regina. Chimo’s Drilling & Excavating is hiring. horizontal bore drilling in Saskatchewan. a wide range of underground utility construction projects. Chimo’s Drilling & Excavating provides environmentally safe and client cost efficient solutions to locate underground client utility assets and safely expose them for maintenance and repair. Regina hydrovac services provide a safe, time and cost efficient solution to assist our clients with the exposure of underground cable and conduit utility assets. Excavation Services in Regina & area. The Chimo’s Drilling & Excavating Ltd. team supports clients across various industry sectors including construction, agriculture to the retail industry. Serving industry and residential projects in Regina and area. Directional Drilling, Hydrovac & Location Services provide an environmentally safe and cost efficient alternative to serve our clients project needs. Chimo’s Drilling & Excavating Ltd. serves Regina and a 200 km area around Regina. We provide directional drilling in services hydrovac services and location service to the oil & gas sectors, landscapers, utilities and anyone who requires the service. Our clients can expect quality services, competitive pricing and an emphasis on customer excellence and safety. Chimo’s Drilling & Excavating has experience drilling in a variety of soil conditions and substrates such as clay, silt, sand, loam and gravel. Almost every construction project starts with excavating service of some sort. From site preparation (leveling and removing earth in layers to be sorted and saved for backfill after the completion of the project) to trenching for utility lines and site drainage. Hydrovac excavation is a non-destructive method of excavation that uses pressurized water and a powerful vacuum to quickly and safely expose buried pipes and cables. Much safer that using heavy equipment to slowly and carefully inch towards utility lines to remove earth from around them. Exposing utility lines this way is much quicker and safer and allows projects to be completed on-time and on budget. Locating, identifying and marking hidden utility lines before excavating or drilling is the most important part of any drilling or excavating service. Chimo’s Drilling & Excavating team will identify and mark all lines before performing any work. 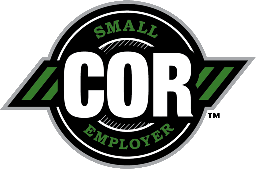 is nationally trademarked and endorsed by participating members of the Canadian Federation of Construction Safety Associations (CFCSA) of which the Infrastructure Health and Safety Association (IHSA) is a member. It provides employers with an effective tool to assess their health and safety management system. 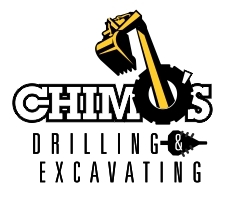 Chimo’s Drilling & Excavating is a proud member.